I think the importance of doing activist work is precisely because it allows you to give back and to consider yourself not as a single individual who may have achieved whatever, but to be a part of an ongoing historical movement. 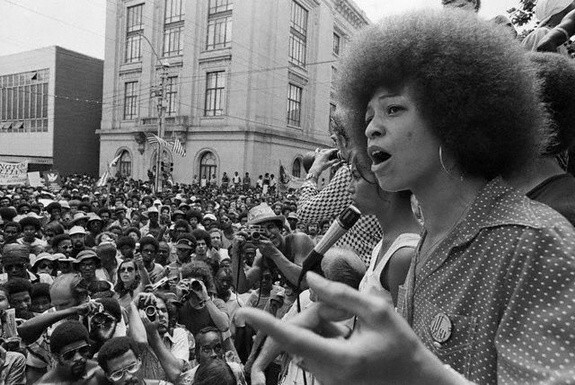 Angela Davis at a political rally in Raleigh, North Carolina on July 4, 1974. Photo courtesy of Bettmann/CORBIS.